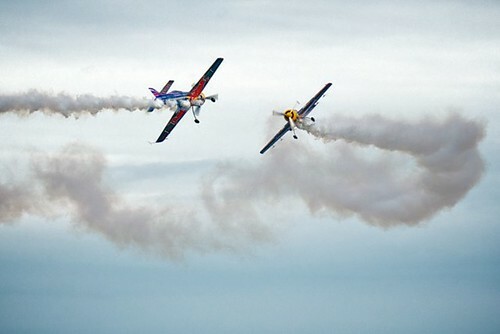 Red Bull Matadors, a photo by ross.wynne on Flickr. One of my favourite pics that I’ve taken over the last year was at the Bray Airshow 2010. The aeronautical displays were manna from heaven for the photographers present and really allowed for some amazing shots like this!